Download and print this colorful and engaging Earth Day poster for your classroom today! Whether you want a fun door decoration, an enticing sign, or a colorful way to brighten up your homeschool space, this free poster is sure to welcome anyone into your science space! On this free download you will find the word, “Love” displayed with the earth as the letter ‘O’ and the date of Earth Holiday inside. Be sure to use a color printer, as this free science download has plenty of color! From decorating your science lab to creating a nice card for your science teacher, this free science download can prove useful in many different scenarios. 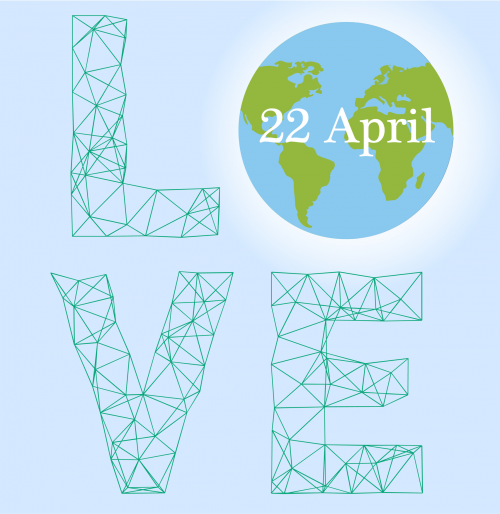 Be sure to download and print this Earth Day poster this year for April 22nd’s Earth Day!